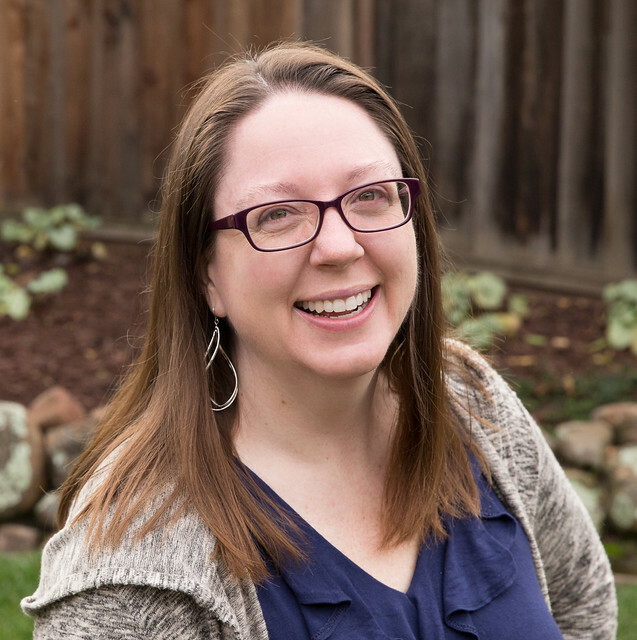 At last year's QuiltCon I took an awesome Intermediate Improv class with Rossie Hutchinson. One of my projects that resulted from that class is this Wonky Cross quilt. It was chosen this month (#12) for the APQ UFO Challenge. The blocks are created in pairs. I completed eight blocks in class. At some point I added a second fabric pull to the project that I thought coordinated well. Now I'm up to 34 blocks. I have no specific plans on number of blocks/rows or overall finished size. We'll see where this takes me this month. January and February both resulted in finished quilt tops for the OMG UFO challenge projects. I'm hoping I'll get through the quilting step as well on this one this month! Posted in Quilting. 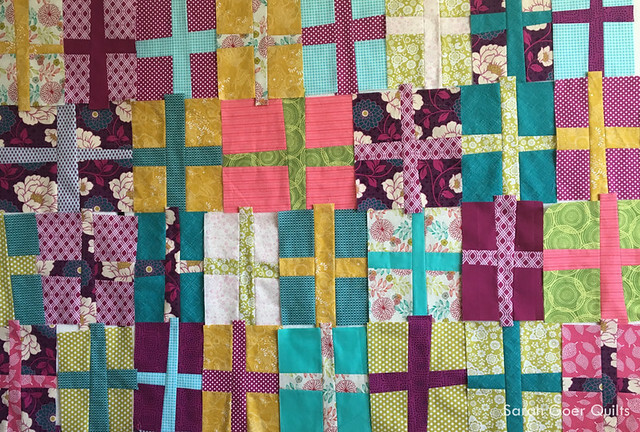 Tags: improv piecing, One Monthly Goal, UFO Challenge, wonky cross on March 7, 2017 by sarah. Cute! I love the freedom of an improv project. Congrats on going two for two! I only made progress on my Jan & Feb projects. But I have finished two future numbers so when they come up I'll be looking smug. Good luck! It looks like it was lots of fun to make! Can't wait to see the finished quilt! Thank you, Kaholly. I’m looking forward to diving back in to this project. 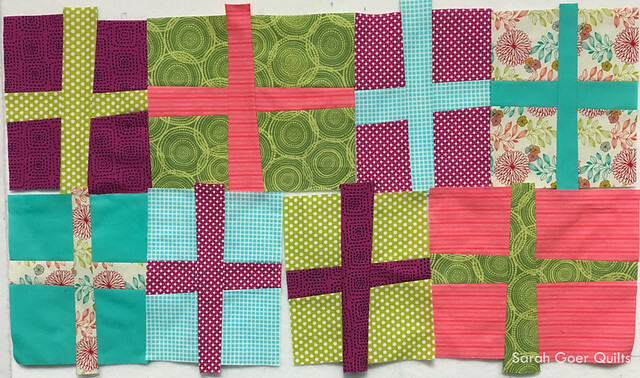 I enjoy pairing up fabrics for the blocks and the improv cutting is so fast! Sarah, you're making great progress on your OMGs for 2017. Loving your color palette for your crosses. I look forward to seeing the piecing and quilting this one! Thank you, Paige. I initially chose my palette based on the floral in the top picture. My second palette that was added in was built around the other floral print. I love the limited palette for your crosses. It contains the wonkiness very nicely. Thank you, Lisa. I had fun shopping my stash for this one. Congratulations on all your finishes, OMG has been very productive for me as well. Love your wonky crosses. I love that OMG and the UFO challenge are helping me prioritize my projects. Thanks for visiting! Love the wonky blocks. Thanks for linking up with Elm Street Quilts One Monthly Goal and good luck on your project. Thank you, Patty! I'm excited to get back to working on this one.